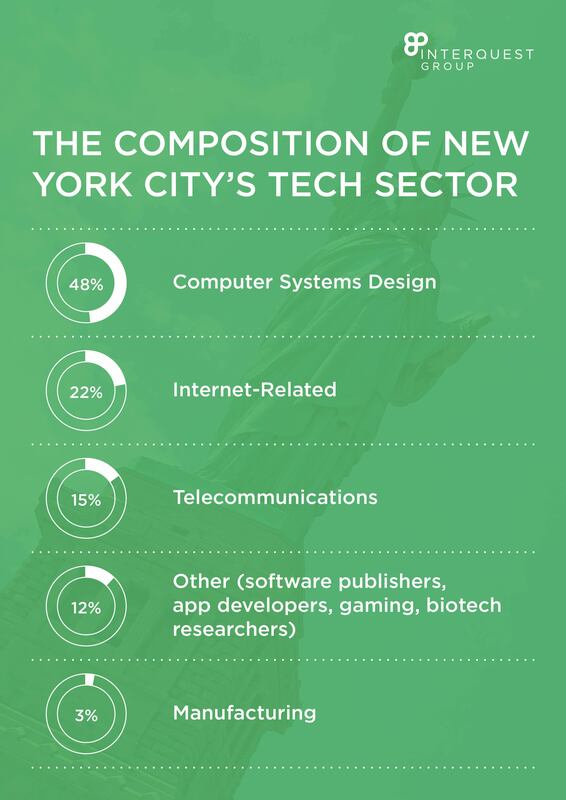 New York’s tech scene is hitting new heights after a decade of significant growth. 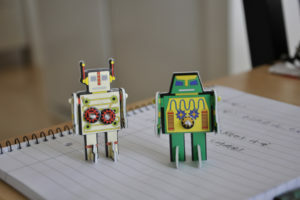 It is still a long way from becoming “the new Silicon Valley” but recent growth has placed it within striking distance. 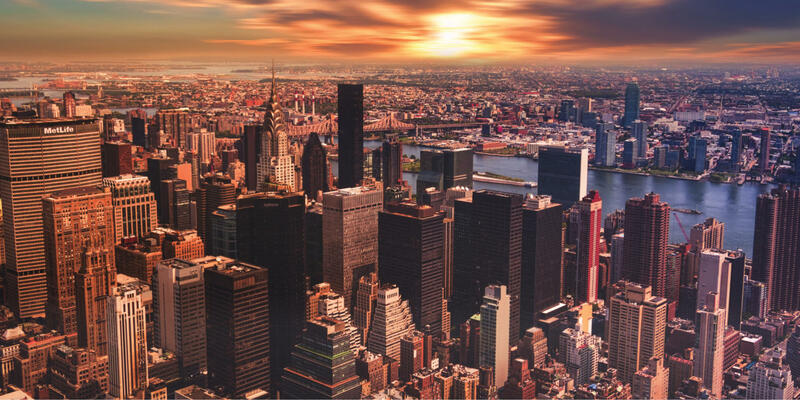 According to KPMG’s annual survey of tech leaders, New York City is matching London as the third leading technology innovation hub rivalling Silicon Valley and San Francisco. 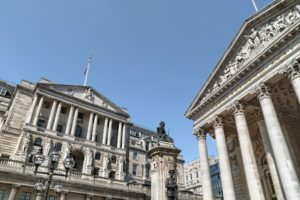 Growth in the tech sector happened while the city’s traditional economic engine, the securities industry, was still struggling to fully recover from the 2008 financial crisis. 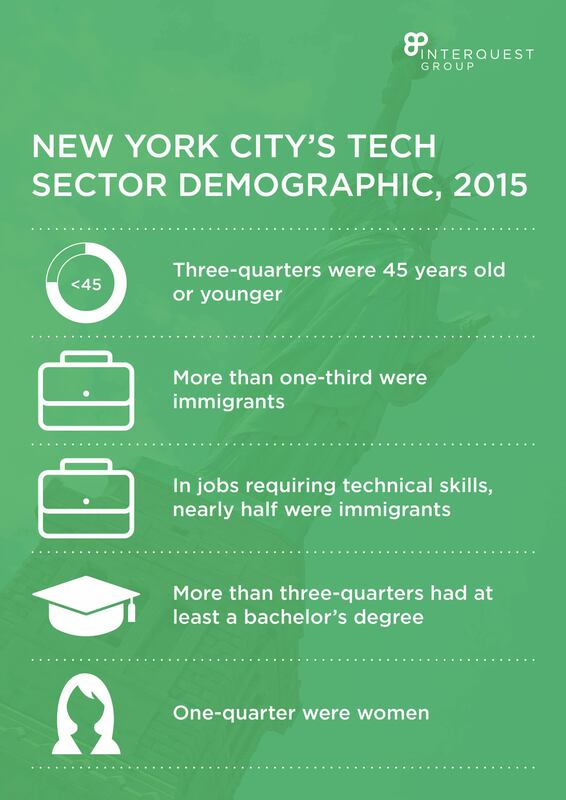 More than 57,000 new tech jobs have been created in New York since the Great Recession; 80% of which are in the city. This attracted high-skilled tech workers to the City and is a source of high-paying jobs. 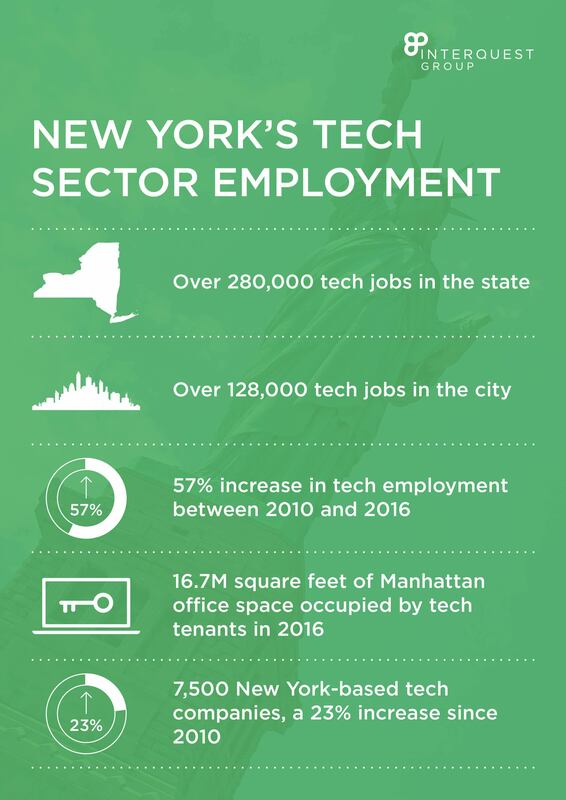 In the last decade, the average salary in the tech sector in New York City increased three times faster than the rest of the city’s private sector, reaching a record of $147,300 by 2016. The number of tech jobs in non-tech industries also increased by 31% between 2010 and 2016, nearly twice as fast as other jobs. Non-tech skilled workers have also benefitted from the tech sector’s boom which created opportunities for managers, sales representatives, accountants and lawyers. 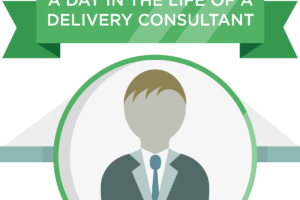 These occupations represent about half of the jobs in the tech sector. According to PwC, venture capital investment is flourishing in the New York Metro area with start-ups raising $11.5 billion last year, quadrupling the $2.6 billion raised in 2012. This boost of investment places the city as the second largest VC destination in the U.S. next to San Francisco. The rise in start-ups based in the heart of the city provides a contrasting workspace for disaffected employees of mega-businesses. Is New York City becoming the new ‘Silicon Valley’? Silicon Valley’s tech culture has been critiqued by many sides recently and as a result, tech leaders have been flirting with the idea of leaving the area to make port for New York City. New York provides a contrast to the criticisms surrounding Silicon Valley for having tunnel vision, being insular, out of touch and overly homogeneous over company employees and the people they make products for. The key factors that make New York more appealing to investors, founders and employees include the presence of other industries such as finance, media and advertising. The City is also found to have greater gender and racial diversity compared to Silicon Valley. One New Yorker, Andrew Rasiej, founder of New York-based community organisation Civic Hall purchased a billboard to attract tech talent on the US 101. In text message format, the billboard reads “I’m frustrated as #%*&! in Silicon Valley,” with a response “WeWantYouIn.NYC”. A form on WeWantYouIn.NYC is available for people to sign if they agree with Rasiej’s essay, stating that New York is more than capable of shifting the industry away from Silicon Valley’s problems. In one night, more than 100 names had signed up and Rasiej said the reaction has been mostly positive. Not only is New York appealing to innovators and entrepreneurs but it is perhaps ahead of Silicon Valley in one crucial area – gender diversity. Entrepreneur, Steve Blank was interviewed by Observer commenting on New York’s diverse roots that gives the city an edge over Silicon Valley. “The gender and racial diversity in New York is so much better than in Silicon Valley,” he said, “New York has such a vibrant mix of art, media, fashion and restaurants. It’s really different than Silicon Valley.” Without a doubt some East coast natives and alumni of East coast universities who travelled west to work in tech are now flooding back from the Bay Area. New York City’s booming tech sector is following a similar trend to that of Silicon Valley’s evolution over the last 40 years. It is a possibility that the cycle could repeat itself in New York, although with a major difference, being the city’s tech workforce want to live there and can afford to do so.